Topics: Defining Sponsorship, Knowledge, Training, and Get Connected. 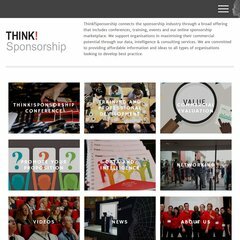 thinksponsorship.com Think Sponsorship - one day conference for rights holders seeking .. The estimated 51 daily visitors, each view 1.90 pages on average. The site is programmed for ASP.NET. Its 3 nameservers are ns3.livedns.co.uk, ns2.livedns.co.uk, and ns1.livedns.co.uk. Fasthosts Internet Limited - Uk S Largest Web Hosting Company (England, Gloucester) is the location of the Microsoft-IIS/6 server. PING www. (213.171.218.55) 56(84) bytes of data.